Liguria and the nearby Tuscany are places to discover: take a few days to live with us and spend an unforgettable holiday! What are the best experiences that you can do in Cinque Terre, La Spezia, Val di Vara, Val di Magra and Lunigiana? What are the suggestions for the sport and nature addicted? And where to go for spend a funny night between Liguria and Tuscany? Arbaspàa Tour Operator, post by post, continues to give you his tips about what to visit, to discover the secrets of these wonderful lands and - as if you were a special friend - to tell you how to have fun and relax. 16) Eat and buy organic in Varese Ligure and in the Val di Vara The green Val di Vara is known as the "Valley of organic": a name that identifies a reality that has become such thanks to the commitment of farmers and breeders (http://www.biodistrettovaldivara.it/), but also of the inhabitants and administrations, who have recognized and safeguarded this vocation. A deserved recognition, result of a constant effort by an entire community ... that you can enjoy on your plate! Less known of the Cinque Terre, this valley is full of attractions that make it ideal for one or more days of relaxation, perhaps after stopping in the beautiful villages known all over the world: if you want to regenerate, stay in touch with nature, discover the traditions, this is your place. 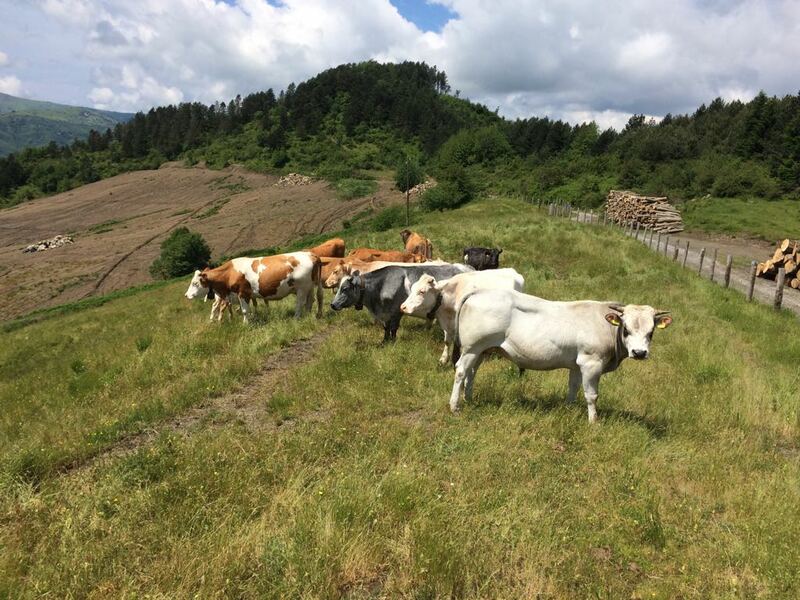 Here you will find forests, meadows, waterways, wildlife and of course, all you need to taste delicious Italian wine a food: there are agritourism, restaurants and points of sale - often from the producer to the customer - where you can appreciate and buy local delicacies. The variety of products is for all tastes: meats, cheeses and dairy products, vegetables, canned food, honey, oil, aromatic plants, teas, jams, fruit, vegetables, juices. High-quality, farm to table, they will tease the gourmand side of your stay in the La Spezia's and Cinque Terre's Area, with an eye to wellness and health. 17) To toast at sunset on the rocks of the Cinque Terre The holiday is an album of memories and special moments. The beauty of the Cinque Terre, their magical atmosphere, the desire to relax and share good times will suggest you many opportunities to live unique experiences. 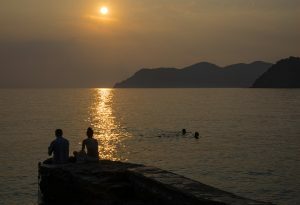 The hour of sunset is certainly one of the most suitable: at the end of the day, the sun greets this enchanted stretch of Liguria to "dive" into the sea and everything becomes orange and warm colors. The show in the sky, reflected on the sea is breathtaking: one of the most evocative wonders of nature. After a whole day dedicated to hiking, take this break and make yourself comfortable to admire a unique moment: sit down with a special person facing the sun that falls and, to make this moment more suggestive, make a toast ... naturally with a of the fine wines of the area. It takes very little to turn a moment into an experience that you will long remember for its magic. In giving you this tip, Arbaspàa Tour Operator makes two important recommendations: who was born in the Cinque Terre , knows how to move on the rocks, but if you have no experience, pay attention to the footwear, wearing a pair of non-slip soles and move with caution, taking care not to lose balance. Preserve the environment of the Cinque Terre: do not abandon any type of waste and recycle it in the appropriate bins, differentiating as indicated. 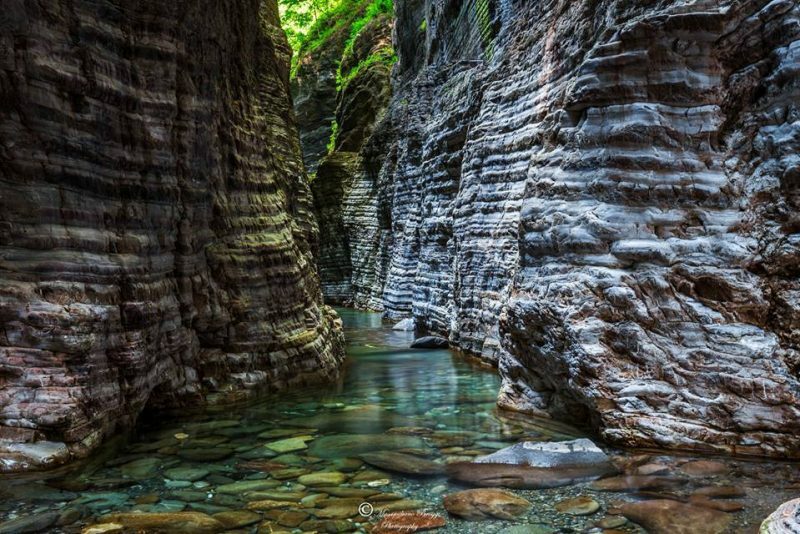 18) Wild Water River Trekking in Lunigiana Think about an enchanted place, where a river with clear waters falls between the walls of a canyon formed by millenary rocks, characterized by a thousand shades. Welcome to the Straits of Giaredo, an extraordinary natural formation close to Pontremoli, in the heart of the historic region of Lunigiana; accompanied by experts, you will have experience in the beauty of this place with the tour of Arbaspàa dedicated to river trekking in the Gordana torrent, Site of Natural Interest for the European Community, thanks to its geology and naturalistic features. After a brefing during which you will be given all the instructions to make the most of this day, and have worn the necessary equipment, our Environmental Guides will take you through a path and part of the riverbed. After entering the canyon, you will safely explore the Straits walking in and out of the water, swimming through some pools of transparent water and passing through small waterfalls, immersed in a nature of special beauty.